very strong nylon webbing. Strong resistance, up to 1200 kg. Acetal buckles and Buckles to ensure high resistance to breakage. Drawings for exclusive woven design on the strap with tinted son in the mass. color retention to sunlight and washing at 30 ° C (do not rub). Buckles steel with nickel finish. 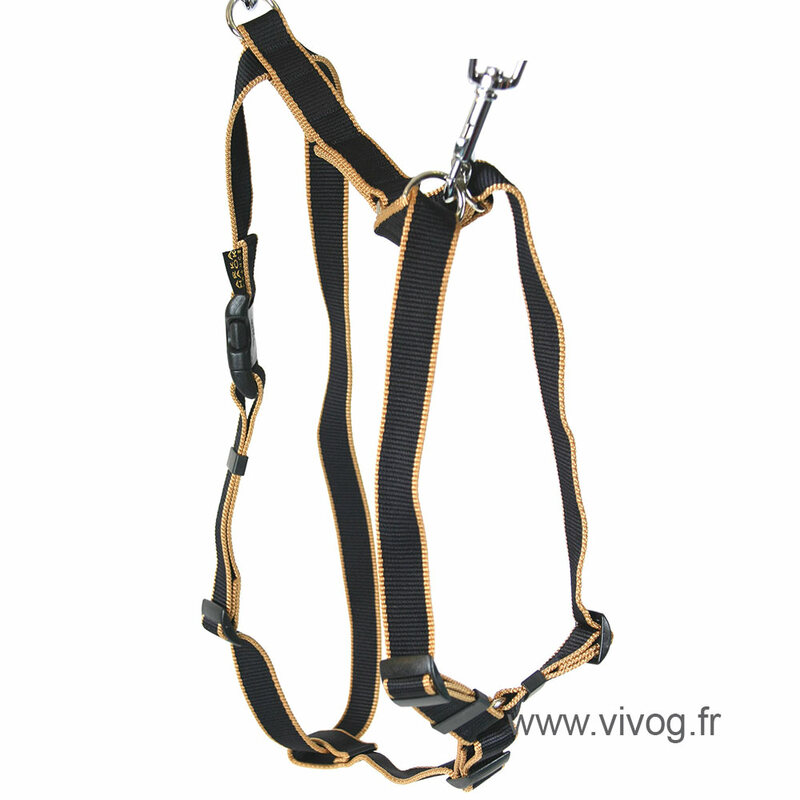 Rembordées straps, no sharp edges in contact with the animal. Lightweight and adapted to the morphology of the animal. quick release buckle. Made in France.